The polling location for residents of Carbondale is the ELM Community Center located at 228 Main Street. 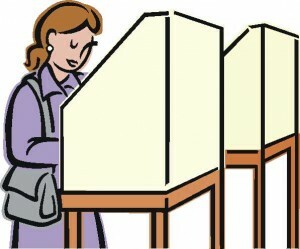 City elections are held the Tuesday following the first Monday in November of odd numbered years. The Mayor and Council Members are elected to four year terms. Kansans may register to vote online at https://www.kdor.org/voterregistration. To register to vote online individuals must have a valid Kansas driver’s license or identification card issued by the Division of Motor Vehicles. You may also register to vote at the Osage County Clerk’s Office or Carbondale City Hall.